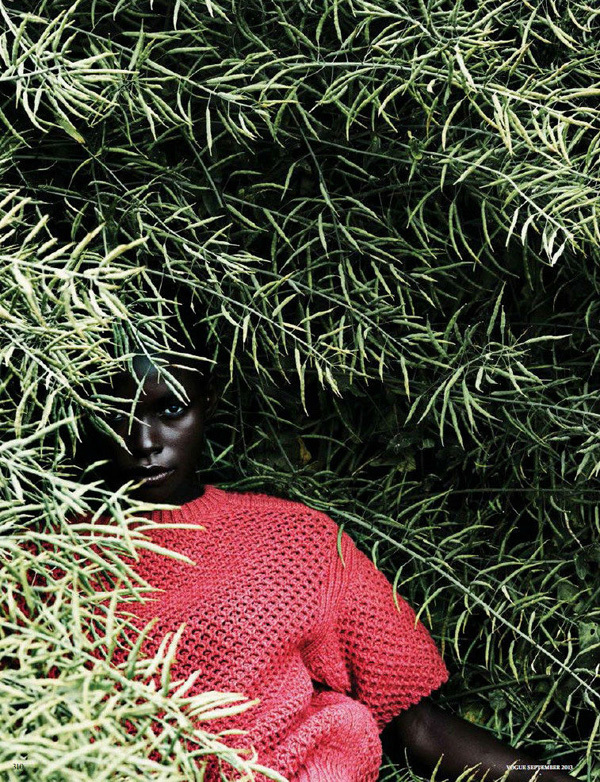 Absolutely love these images of Jeneil Williams in the September issue of Vogue Germany. This is one of the most beautifully stunning editorials I’ve come across recently, and I’m completely blown away by every single aspect of it. Incredible. Stunning editorial! Its so refreshing to see Vogue Germany featuring an editorial spread like this and in the September issue, even better!! Wow I agree, this is one of the most beautiful editorials I’ve ever come across :O Are you very familiar with Vogue Germany? Are their images usually like this? i saw this somewhere earlier today! love that it’s getting lots of attention! seriously- 15 years ago i’d never have dreamed that i’d see a woman like this in print. i’m so happy magazines are finally appreciating the beauty in color and different looking people. 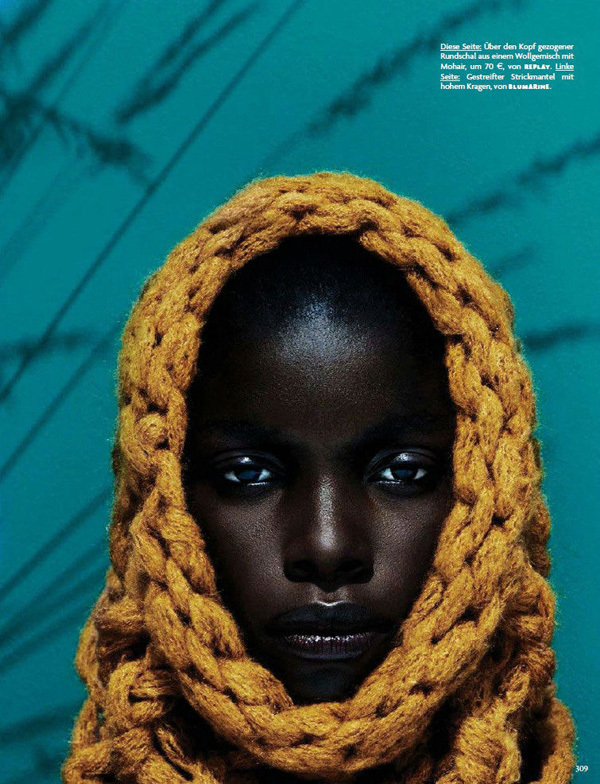 this editorial was so beautiful! I completely agree with you babe. Such a lovely editorial. Love the brightly coloured contrasting backgrounds The first photo with the blue and yellow is stunning. 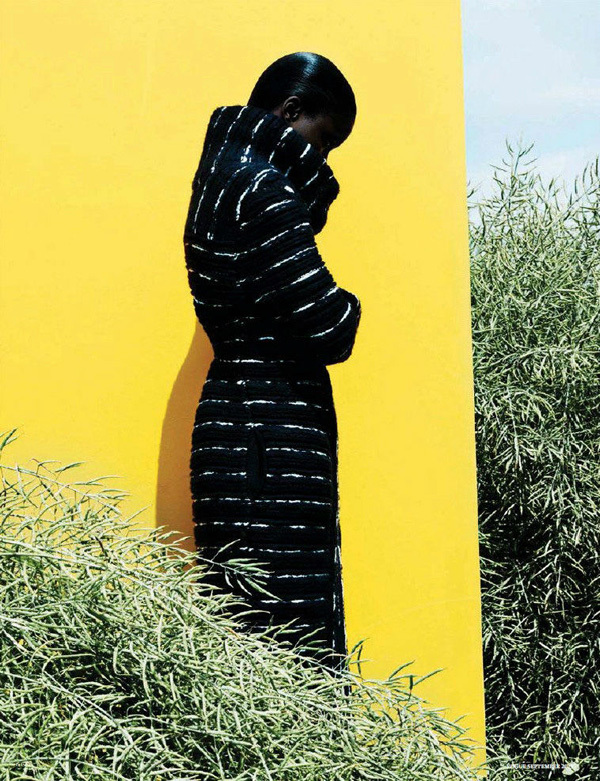 Great editorial, and I didn’t know about Fashionography, such a great site! Oh wow, what striking images. Amazing use of colour. I agree with you!! 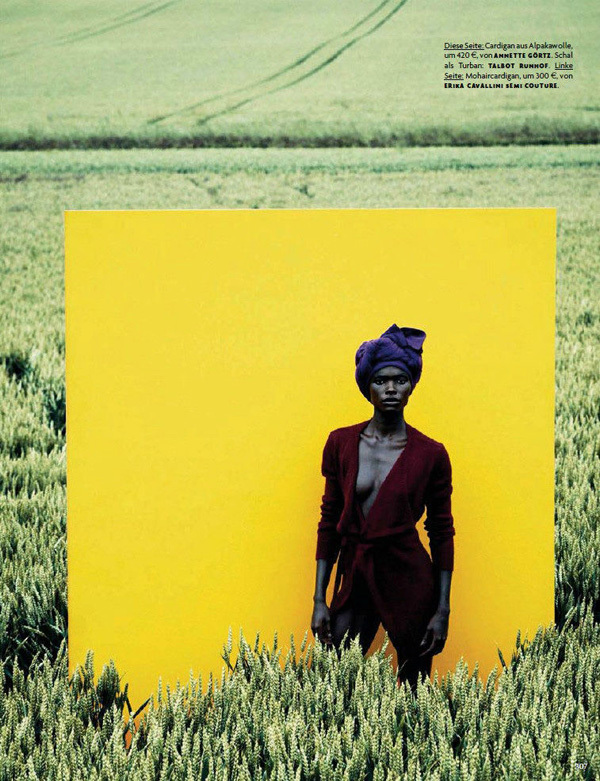 The color contrasts are stunning, the model is gorgeous, and the photography is inspired (not to mention the clothes!! ).